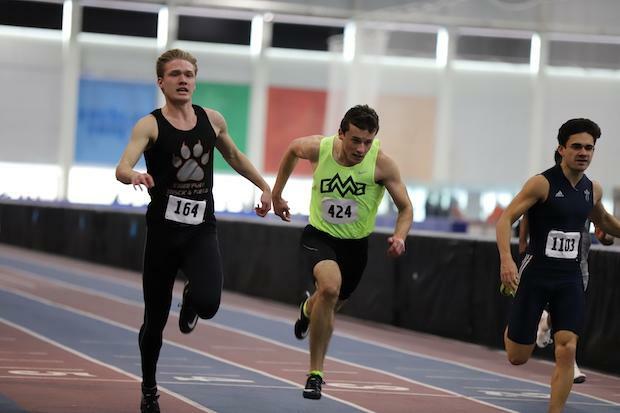 The headline of the UHSTCA Meet was Braiden Ivie's record breaking run. Ivie is the first to break 21.50 in the 200m for indoors which puts him above some pretty honorable names such as Dallin Draper and Hunter Woodhall. Braiden is only a Junior so to break this record now only brings more questions to how much faster he'll get. Ivie is now gearing up for the Simplot games in Pocatello. On the distance side of things we have to address the undefeated Luke Grundvig of American Fork. Grundvig has only raced twice this season at BYU and of course UHSTCA. 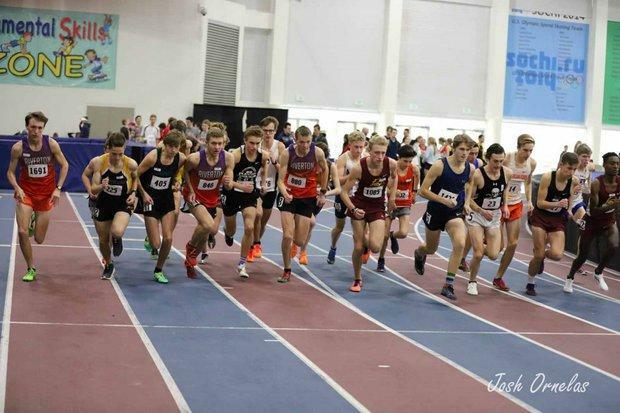 At BYU, he finished over teammate Carson Clinger and Adam Krieger of Springville in a time of 4:32.45 for a full mile. 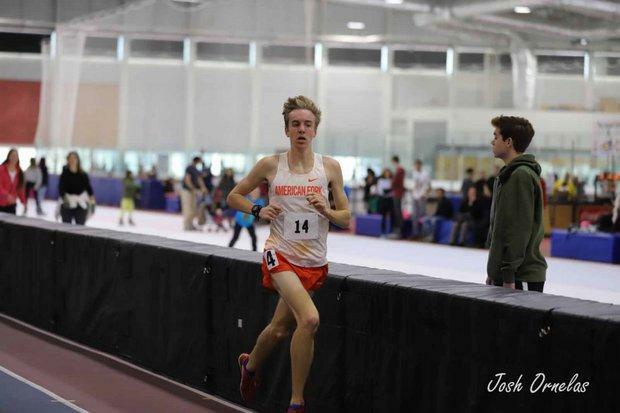 UHSTCA he won the 3200m in a time of 9:22.86. The 3200m field at UHSTCA was by far the deepest distance field we have seen all season. It featured Grundvig, Asefa Wetzel from Wyoming. NXN Individual Qualifers Joey Nokes and Ty Davis from Riverton and six other guys who finished under 9:50! In the field events we saw Robbie Walker of Riverton vault 15-06.00 to get a new PR and is currently tied for 25th in the nation! Walker is almost two feet above his nearest in state competitor. 15-6 is 4 inches higher then the 6A State record set last year by teammate Trenton James. The overall state record for this event is held by Davis Brown of Davis who vaulted 16-02.25 back in 1995. Could Walker possibly break 16 feet for the Pole Vault joing a short list of names of guys who have done this? 15-6 is now his new personal best and last year he improved 18 inches in the time between indoors and outdoors. If he were to get half that, he would be the GOAT for boys pole vault in the state of UT.